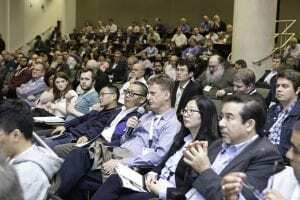 HOUSTON–(BUSINESS WIRE)–Rice University’s Ken Kennedy Institute for Information Technology (“Ken Kennedy Institute” or the “Institute”) will host the 12th annual Rice Oil and Gas High Performance Computing Conference (OGHPC) in Houston, Texas on March 4 – 6, 2019. With plans for multi-disciplinary discussion, this year’s conference theme, “Challenges for meeting computing-capacity demand in the energy industry for the next decade,” will highlight cutting-edge research and trends in oil and gas. In addition to an engaging program, pre- and post-program mini workshops will span the spectrum of workforce diversity, best practices in systems management, singularity containers, and code parallelization. 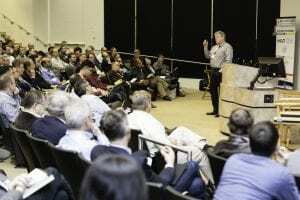 Several hundred participants from the IT and energy industries, along with participants from universities and national labs, will come together to network, learn, assess needs, and foster relationships. Detlef Hohl, Chief Scientist at Shell, will open the conference with an energy-industry perspective on High Performance Computing and High Performance Data Analytics, and will forecast what O&G will do with it in the next 10 years. The opening keynote will be followed by Forrest Norrod, Senior Vice President of AMD, and Brent Gorda of Arm. Day two will begin with Lori Diachin providing an update on the U.S. Department of Energy (DOE) Exascale Computing Project, followed by Trish Damkroger of Intel, Dan Stanzione at the Texas Advanced Computing Center, Toni Collis, Women in HPC, and an “Early Career” panel moderated by Andrew Jones with Numerical Algorithms Group (NAG). Satoshi Matsuoka, RIKEN Center for Computational Science, Japan, will segue into the poster session with his closing keynote presentation on the Post-K Computer and an overview of computational science and engineering research. The Ken Kennedy Institute for Information Technology at Rice University is dedicated to the advancement of research in the fields of data and computation, and serves as a catalyst for research collaboration and workforce development. The views and opinions expressed here belong to Jan. E. Odegard and do not necessarily reflect those of Rice University.